You spoke, we listened. 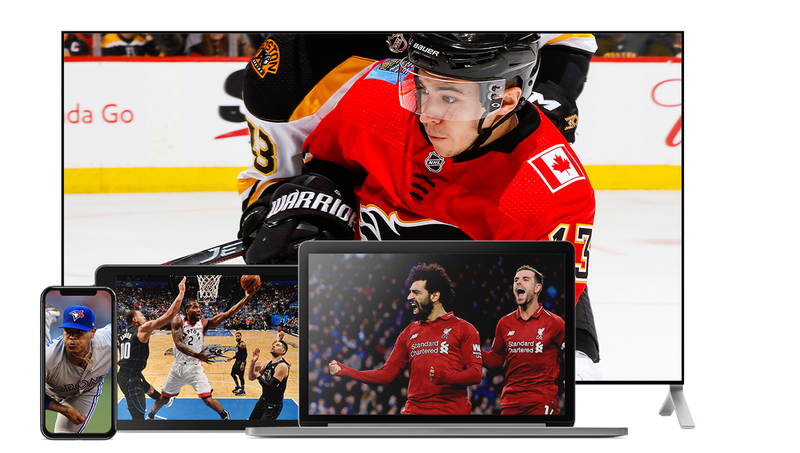 After gathering extensive feedback from past and current users of SN NOW, we’ve launched two new package options to better serve sports fans in Canada. SN NOW is expanding to provide viewers with more choice and more content via tiered-package options and the introduction of SN NOW+. Over 500 total NHL games. Stream every Sportsnet exclusive game** blackout-free, including the Oilers, Flames and Canucks, plus 56 Leafs games. Plus, get Hockey Night in Canada, Rogers Hometown Hockey, Scotiabank Wednesday Night Hockey, the entire Stanley Cup Playoffs, Raptors & NBA matchups, Blue Jays & MLB, Premier League, Grand Slam of Curling, CHL and Sportsnet original shows. Subscribers will also get hundreds of additional Premier League, Bundesliga, FA Cup and Gallagher Premiership matchups, as well as all 17 IndyCar races not available in the $19.99/month package. SN NOW+ $27.99/month— The same content as SN NOW+ Annual, but without the commitment. Sign up for as long as you want and cancel whenever you’d like. SN NOW $19.99/month— The same great content you’re used to at a new reduced price. Over 300 total NHL games. Stream regional games for the Oilers, Flames, Canucks or Leafs, depending on where you live. Plus, get Hockey Night in Canada, Rogers Hometown Hockey, Scotiabank Wednesday Night Hockey, the entire Stanley Cup Playoffs, Raptors & NBA matchups, Blue Jays & MLB, Premier League, Grand Slam of Curling, CHL, Sportsnet original shows and more. *Regional blackouts apply. *Sportsnet NOW owns the regional rights to the Oilers, Canucks, Flames and Leafs. In order to avoid being blacked out from those teams’ regional games on the $19.99/mth package, you must reside within that team’s broadcast region. For more information on blackouts, visit www.snnow.ca/support. **Sportsnet exclusive games are those where the rights are exclusively held by Sportsnet in Canada. If a game is on more than one network, the game is subject to regional blackouts.